You may have noticed that Facbook has made changes in their layout in recent days. Facebook pages are now represented using new timeline view instead the custom platforms. Many users now usually have owned page in Facebook, in which they can add cover photos and they are also allowed to highlight important stories by pinning them to the top of their timeline. Pages in Facebook by default have included several features such as Events, Photos, Video and Notes. Some people demand for extra features such as Google Map, Youtube videos and may be even Calendar events. In order to perform you need to create an app that supports this thing in your profile. 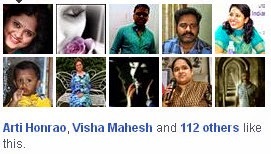 There by custom Facebook pages can be created to fulfill your wish. If you thing this isn’t possible let me show some thing for instance. Nokia has created an official page that signifies has a Welcome Tab highlighting some their recent launches, Nike featured Location Tab that highlights location of Nike stores across the country. Apple’s App Store page has created a Tab which describes their list of Top selling Apps and games. How do these Big names have created their own Facebook pages? Ever get into a feeling that they are big brands and hire skilled labors to do so. Even you can create your own Apps in Facebook without writing a single code. 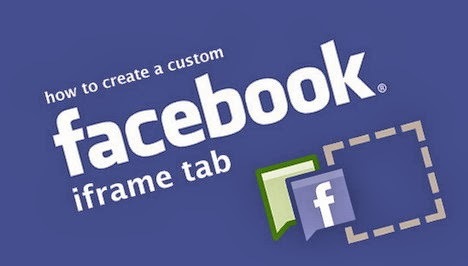 Facebook Apps can be embedded into pages by just using IFRAME tag. It is similar like embedding in HTML web page, if you are able to embed MP3w, Google Maps, YouTube videos, Google calendar, photos and lots more you can also embed into Facebook in similar way. Some of the other major reason to choose Google Sites is that, it offers secured pages over (https) and (http) connections. This is awfully important since majority Facebook user would have turned on “secure browsing” in their security settings. If your page is going to be http then it will display a warning message. So Google sites must always be preferred.